I have a confession. I am 32 years old and have lived in the North East for all of my life and I've never been to visit the Angel Of The North or Saltwell Park. This is shocking! 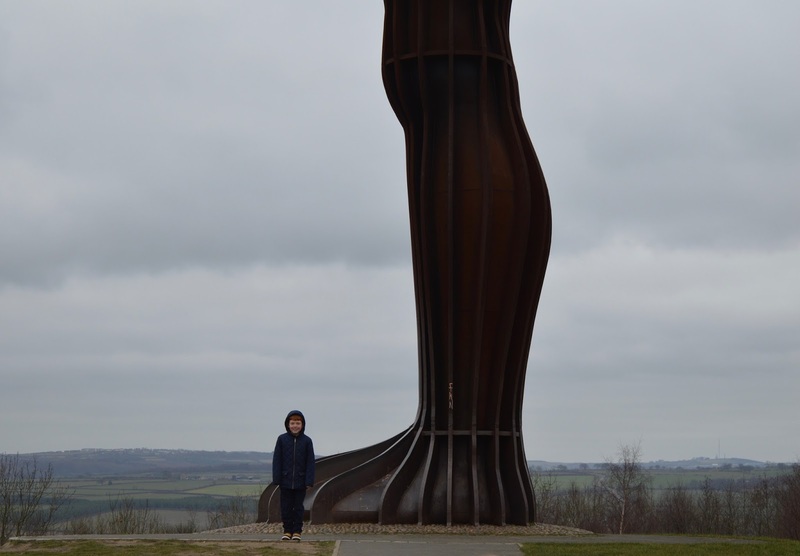 Especially the Angel Of The North as this is such an iconic structure in the North East. 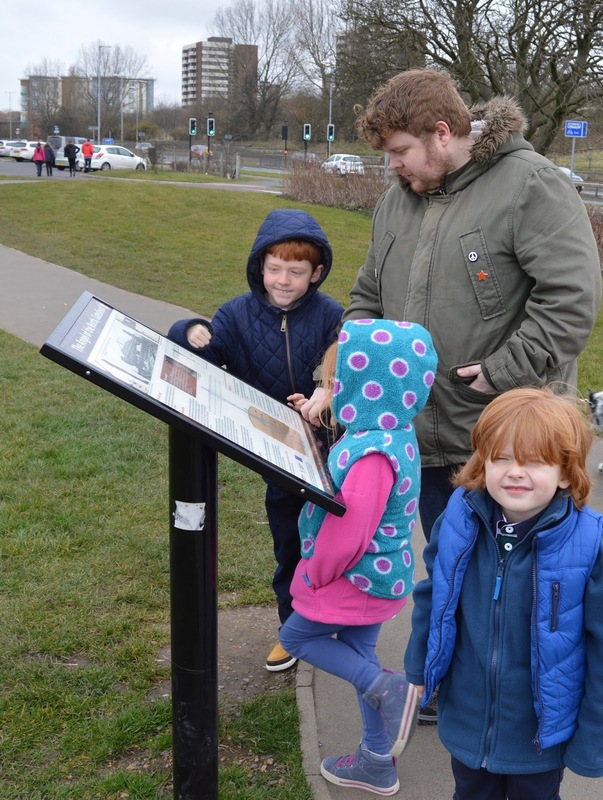 We have attempted to visit Saltwell Park before but I don't know what it is about being on the other side of the Tyne - we found ourselves completely lost and ended up driving home after a bit of a row over directions! 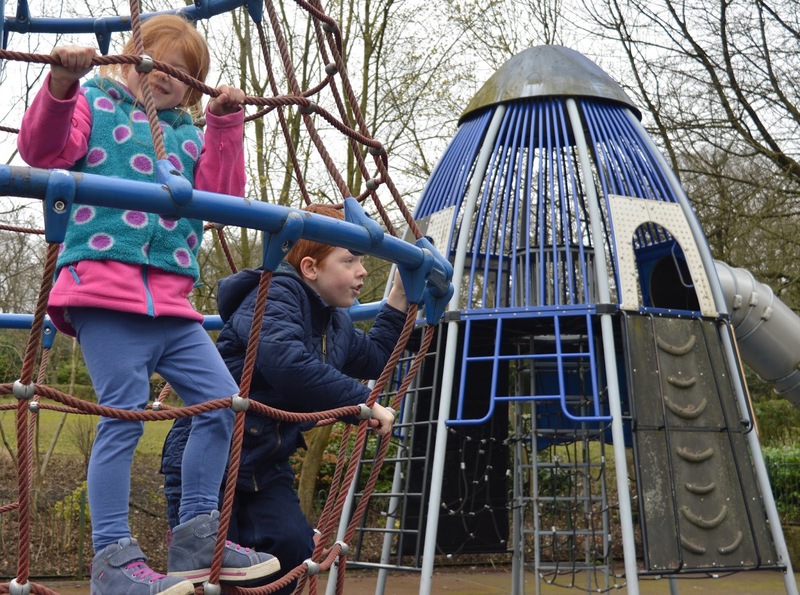 I've been told time and time again that I must visit Saltwell park so last weekend we decided to take the kids on a little Gateshead adventure. We wisely left the car at home this time and used a Go North East Family Day Ticket which is currently priced at £12.50. This ticket includes unlimited travel for one day with Go North East for up to two adults and three children. There are over 60 services to choose from including the Quay Link to the Quayside, the Castles Express to Auckland Castle and the Waggonway service to Beamish. 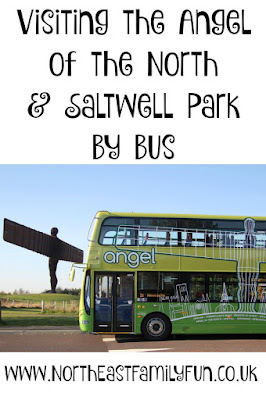 We used the Cobalt Connect and Cobalt Clipper to get from Cramlington (where we live) to Newcastle and then hopped aboard the Angel 21 service from Eldon Square bus station to the Angel of the North. Go North East buses are fitted with tv monitors that let you know what the next stop is. Steve and Karen from Metro Radio will also announce the next destination. This makes it super easy for anxious folk like me who worry about visiting new places and when/where to get off the bus. The Angel 21 dropped us off across the road from the Angel Of The North (there is a pedestrian crossing available to cross the road). Very convenient. We started our visit reading some interesting facts about the Angel. Did you know it is 20 metres tall and 54 metres across? I also didn't realise this until I was up close but her wings are actually angled at 3.5 degrees forward apparently to give the feeling of an embrace. 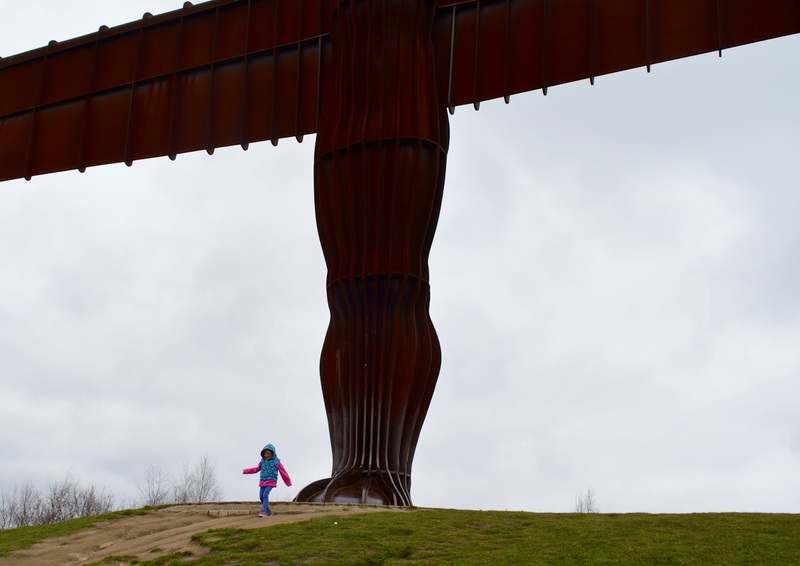 The sheer size of the Angel Of The North is very impressive and the kids had fun lying underneath her wings and looking up. I think we maybe spent around 30 minutes in total with the Angel. I am so pleased we made the journey as she truly is impressive. We were on a spending ban (where we don't spend any money on a day out) so didn't visit the coffee hut but I think it would be nice to grab a hot drink and spend a bit longer here admiring the spectacular views of the Angel and the surrounding countryside. A quick check of the Go North East App and we realised that the Angel 21 bus actually stopped at Saltwell Park too. Winning! We waited around 5 minutes for the next bus and then headed to our next destination. 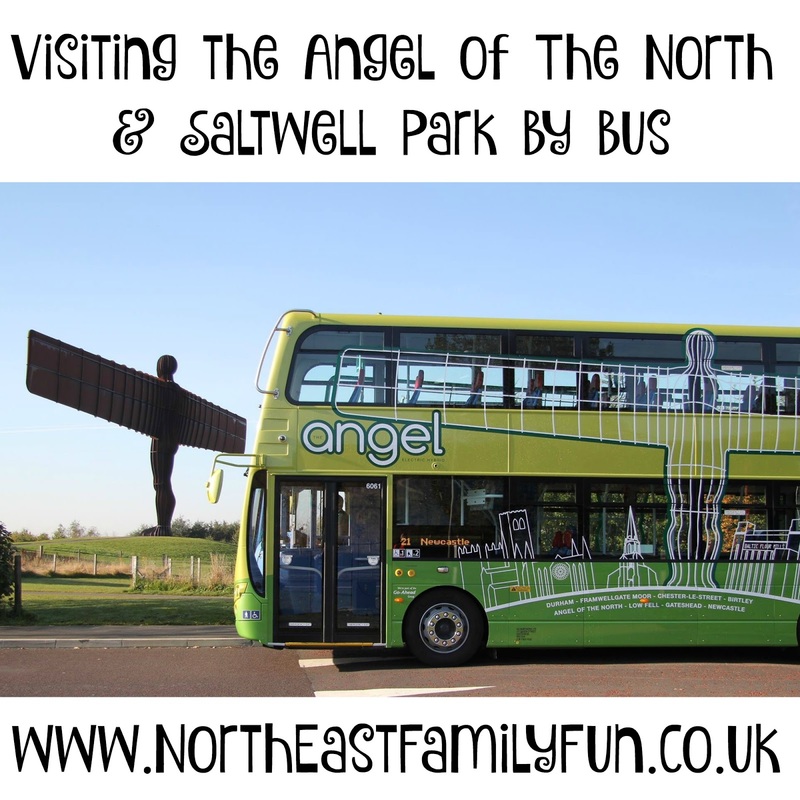 The Angel 21 bus dropped us just a few minutes walk away from Saltwell park's entrance (if you leave the bus at the Saltwell Park/Durham Road stop and turn right along the road then head down the bank at the traffic lights you'll see the park gates). We checked the park map at the entrance and there seemed to be lots to do. 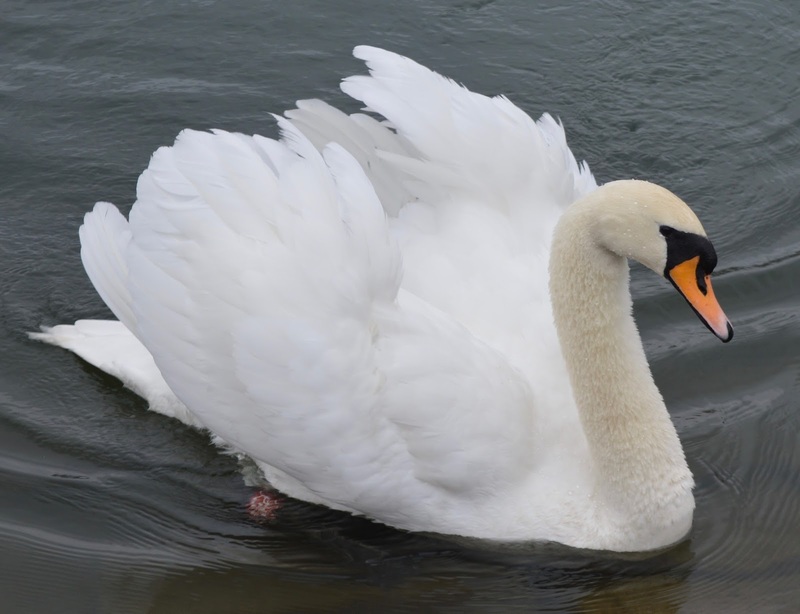 We decided to begin our visit with a walk around the lake where we said hello to the swans and ducks along the way. The lake is very safe and fenced all the way around which I appreciated as the kids could run ahead without me fearing for their life. Next up were the play park areas which is where we spent most of the afternoon. 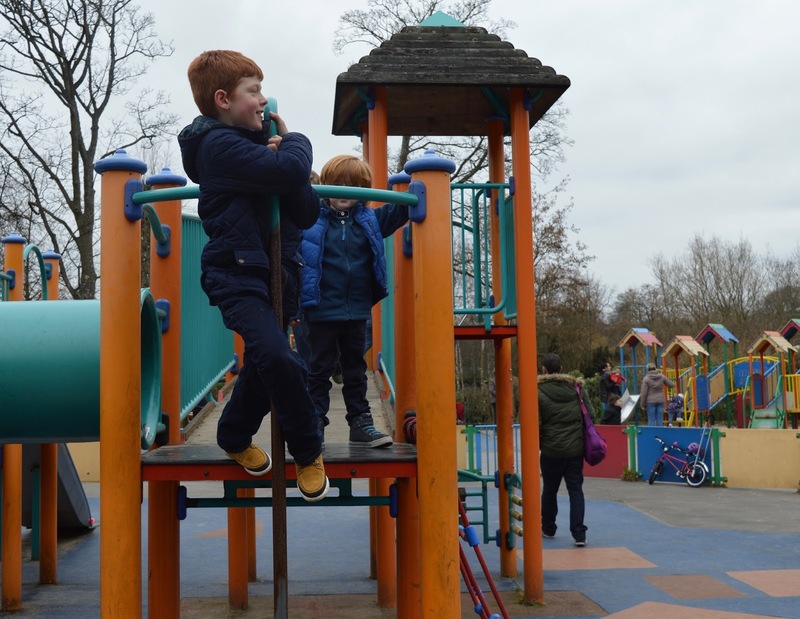 There are two enclosed spaces - a junior area which Harry and Heidi thoroughly enjoyed and a park that was more suited to under 7's which was perfect for Jack. Steve rolled his eyes that there was a sand pit and banned the kids from going in as he didn't want their shoes filled with sand. What a grump!! Next time kids I promise! 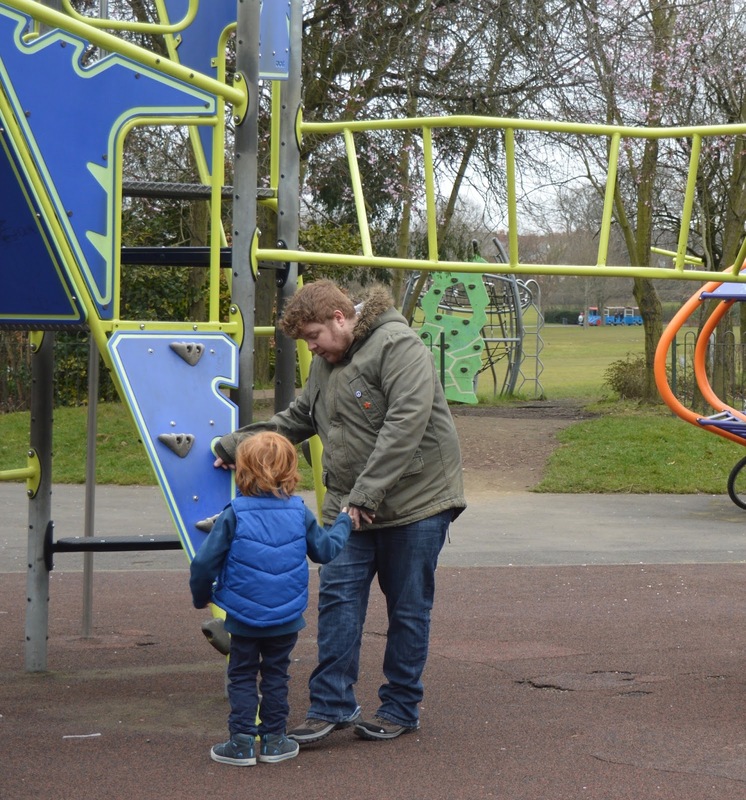 The parks are adjacent to each other which was perfect for us as both sets of children were in our eye line. 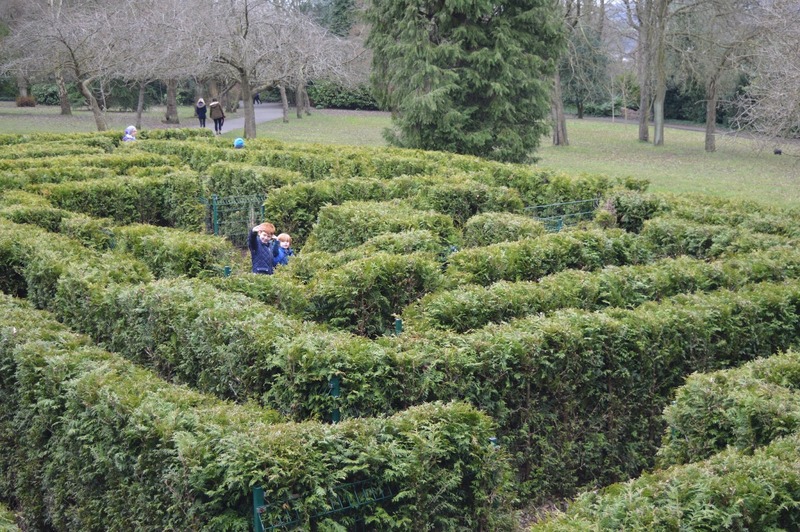 The maze is free by the way as are most of the park's attractions. There are a couple of paid for activities - you can hire a boat on the lake or for £1.50 per person you can catch the mini Thomas train for a trip around the park. This is something we will definitely budget for on our next visit I think. 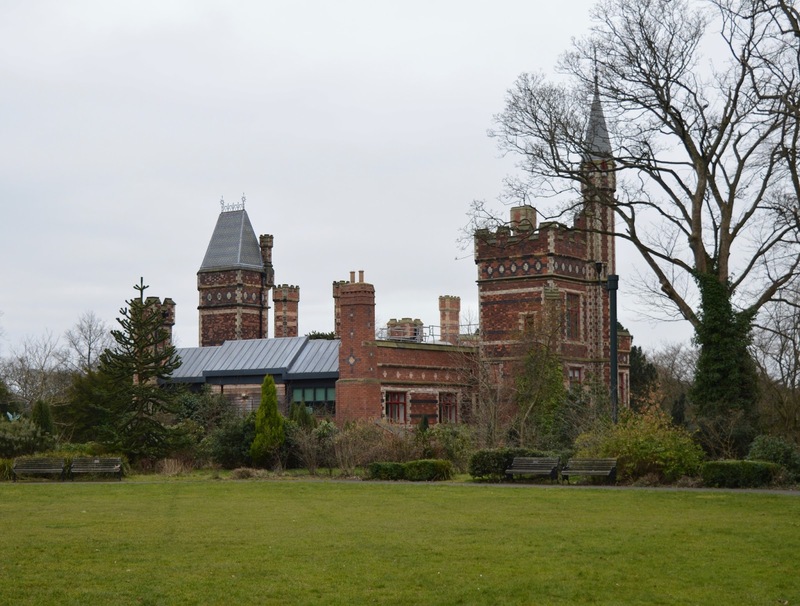 You can dine at Saltwell Towers (check out New Girl In Toon's Afternoon Tea review) however I have heard mixed reviews so I would probably advise taking a picnic instead. There's no denying it's a beautiful building though. We walked past the towers on our way to Pets Corner. Pet's Corner is smaller than the one in Jesmond Dene but it was still fun all the same. 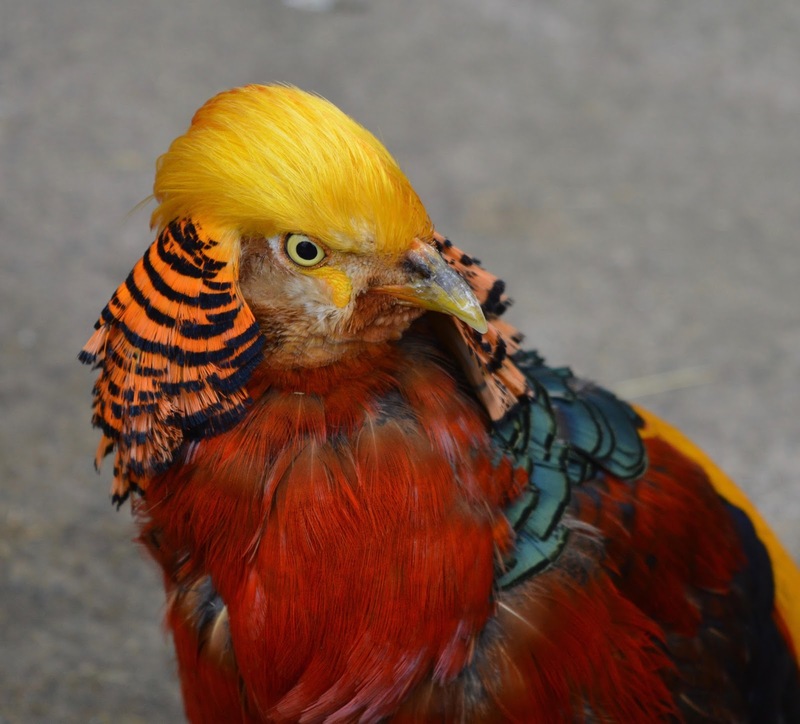 We met some of the biggest chickens we've ever seen, said hello to this rather pretty bird and a few other smaller animals. 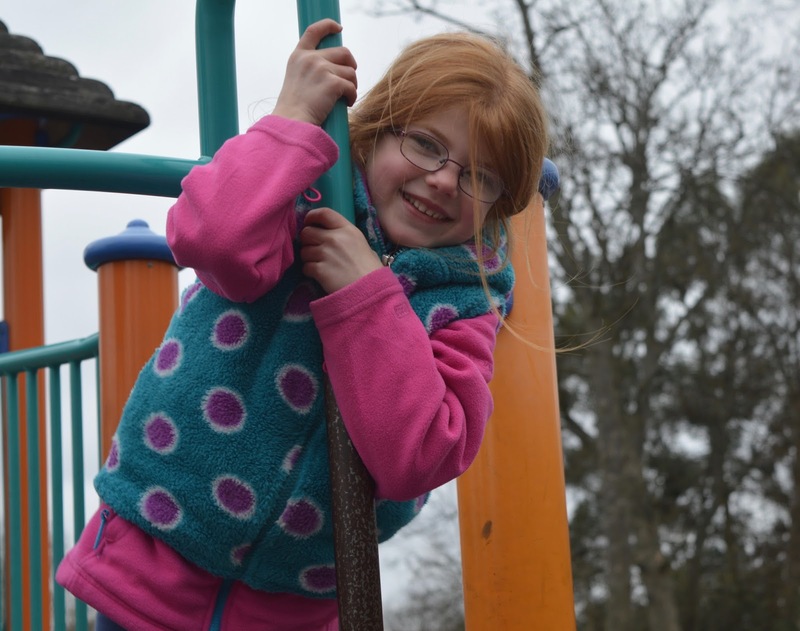 We also explored the special wildlife garden (where we kept our eyes peeled for signs of foxes), walked amongst some of the spring flowers that were just sprouting and watched a few older children play basketball on the sports court. We were even lucky enough to spot a squirrel as it crossed our path. 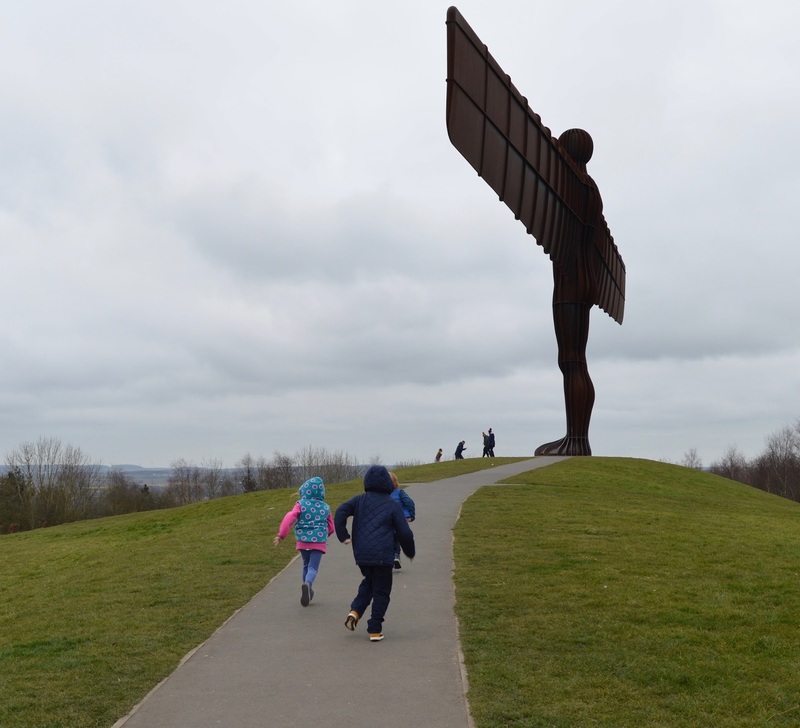 After our walk the children were begging us to re-visit the play areas so we headed back for another 45 minutes before catching the Angel 21 back to Newcastle. 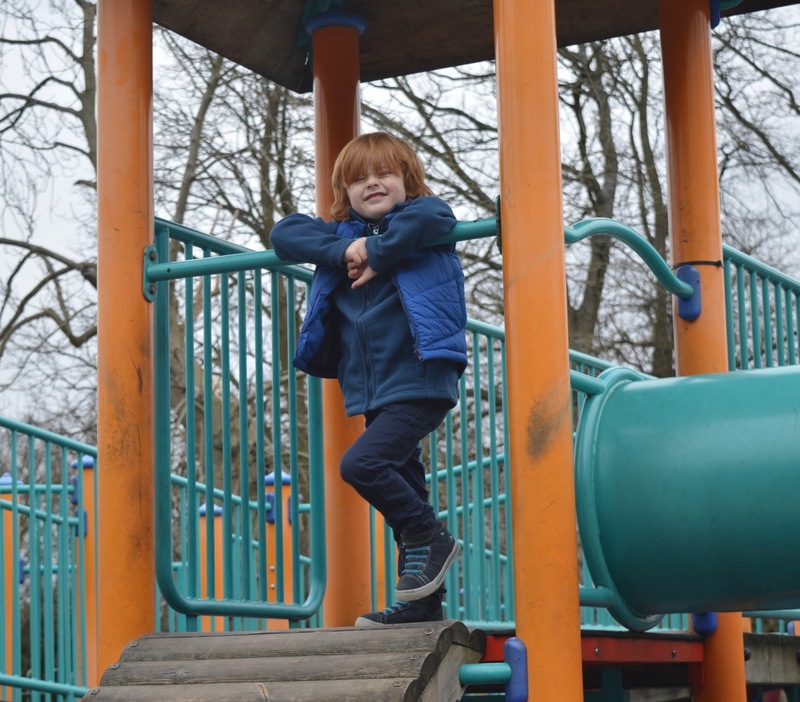 I loved our trip to Saltwell Park and we've already made plans to spend another day there in the summer. I don't use public transport regularly and I do know that it can be frustrating when there are delays ect.... however we encountered no problems during our Saturday trip and the kids thought it was a real adventure. The Angel 21 service is an electric hybrid with low emissions so we also felt like we were doing our bit for the environment by leaving our car at home. We made the most of free wifi on board and the kids took a book to read. All in all it was a very positive experience and something we are going to try and do on a more regular basis in the future. We created a video featuring the highlights from our day and would love to know what you think. Where are you favourite days out in the North East that we can access via public transport? I'd love some more ideas for the rest of the year. I'm linking up to Mummy Travels and Wander Mum #CityTripping shouting loud and proud about NewcastleGateshead. 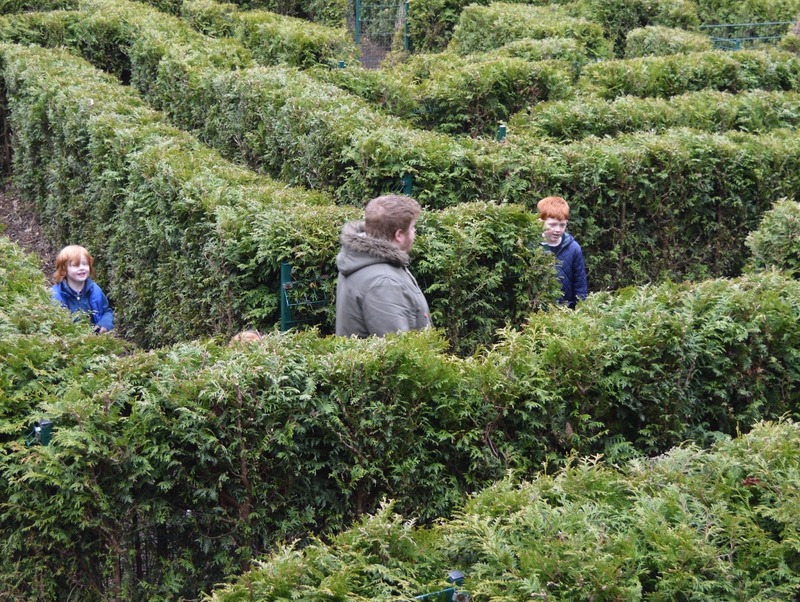 Glad I'm not the only person to get completely lost in the Longleat maze! I've always wanted to see the angel of the north! Must make the trip someday! A destination for the Easter holidays, I think. 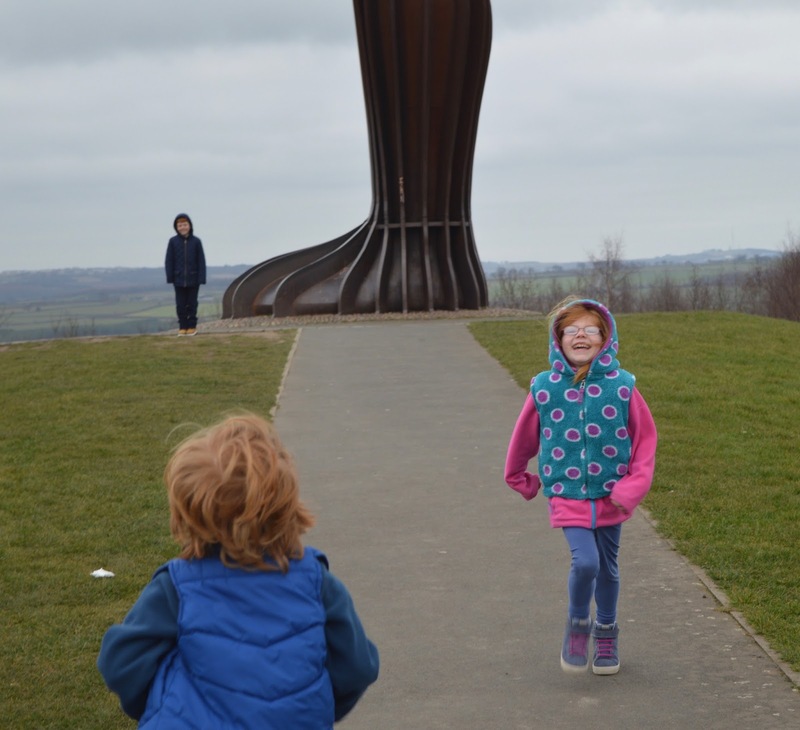 We haven't been to the Angel of The North yet so I'm definitely going to suggest that to the boys. Love the pic of you holding the Angel between your fingers. My Grandma lives in Newcastle so I've always gone up there on regular trips, but I've never been to Saltwell Park. Of course, we sail past the Angel, but I didn't know you could actually visit it. I'll have to give that a whirl some time.